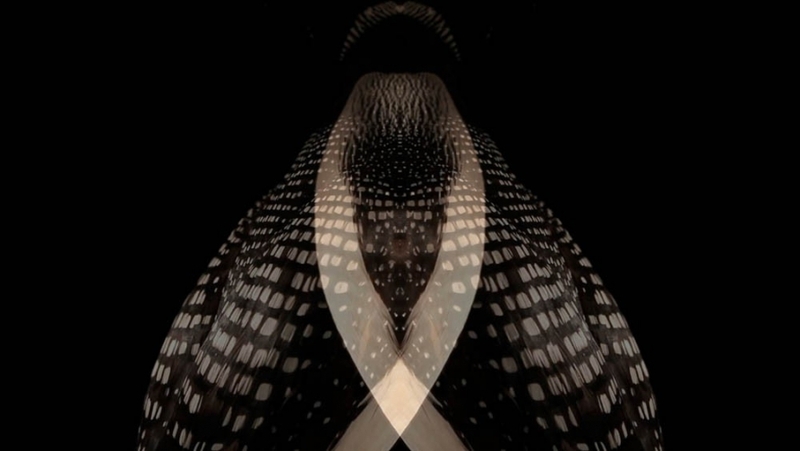 The video loop is constructed of the mirrored image of a Common Loon. This bird is not only famous for its diving techniques (that are described in Microcosmic Orbit), but mainly for its call; a fascinating, almost eerie sound that is echoed by the mountains surrounding the waters that are their homes. 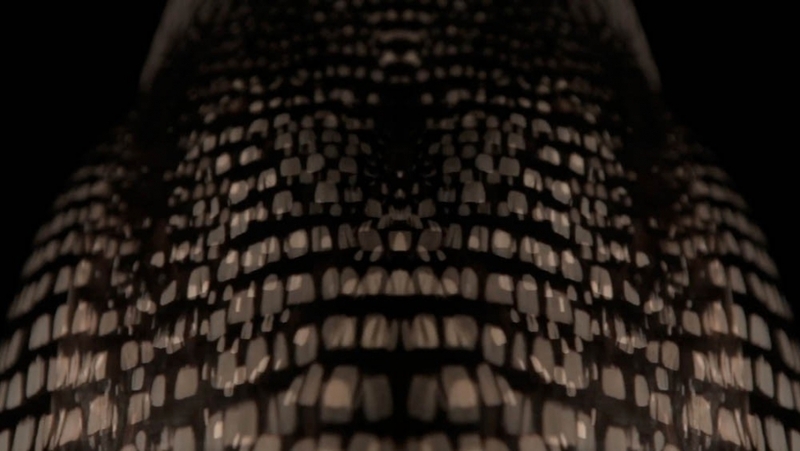 The video shows the endless rotation of a more than 100-year-old specimen, from the collection of the Banff Park Museum in Canada. This specimen is prepared in such a way, that we have a clear view at its plumage, including the intimacy of its white breast that normally is hidden by the surface of the water. 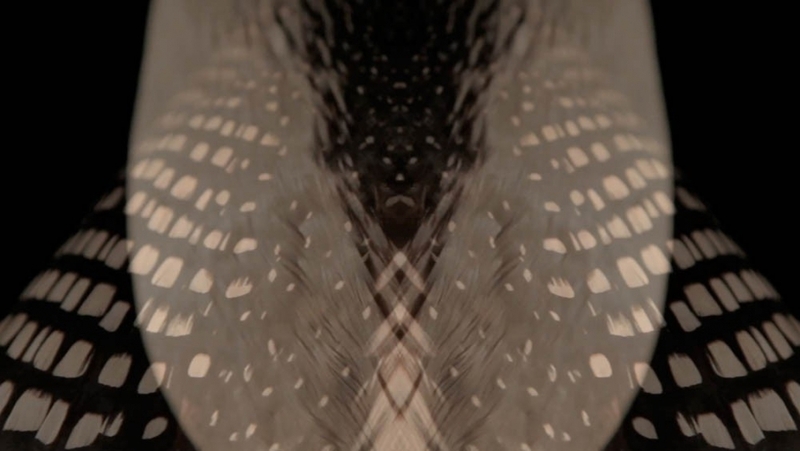 In the video its black feathers are blending with the black background, leaving the viewer with an hypnotic white checkered pattern and the almost tactile soft belly.